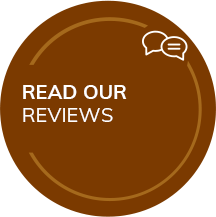 Since 1998, Dr. Bob Bentley has been passionate about helping his practice family live a better life through a variety of wellness strategies. His office features low-force and manual techniques, spinal decompression, pregnancy care and cold laser. Call us now! Farmington Chiropractor Dr. Bob Bentley has been offering fast pain relief and wellness optimization for almost two decades. He welcomes people of all ages to his well-established practice, from babies and pregnant moms to children and those entering their golden years. 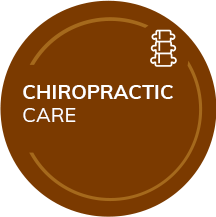 Bentley Chiropractic places particular emphasis on advanced diagnostic strategies and customized treatment plans for those they serve with chiropractic care. Our interaction with our patients is second to none. We take the time to listen and understand, with caring, compassion and competence. Family is important to us– that goes for our practice family as well. You can always count on us to go the extra mile for you; that’s what family is all about. Our office fosters nurturing relationships with those we serve. Our friendly, supportive staff treats everyone with kindness and wants the best for our patients. 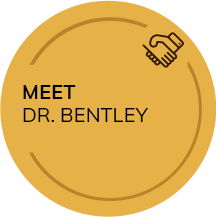 Dr. Bentley has had many years of experience in dealing with even the toughest cases. He has a reputation for excellence when it comes to competent adjusting skills. We offer advanced computerized diagnostic scan technology to accurately pinpoint the source of your problem. Our scans are painless and noninvasive, and help us to track your progress with certainty. Spinal decompression, cold laser, nutritional guidance, and weight loss programs are also included in the services we provide. 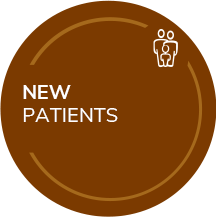 We'd love to welcome you to our patient-centered practice. Same-day appointments are available and most insurance is accepted, including Medicare. 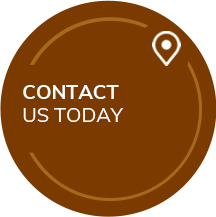 Contact us today for an appointment with our Chiropractor Farmington! I came in hoping to find pain relief. I had been taking pain killer tablets and using deep heat. I starting feeling relief in the first two visits. I also noticed I had more energy and less pain. I would refer anyone anytime! With frequent adjustments, my pain is minimal. I can sleep the whole night without pain for the first time in fifteen years. I am now able to do most things, even though I have rheumatoid arthritis and osteoporosis. Dr Bentley adjusts my back and I am okay for a while. Since starting chiropractic treatment, I have had 90% relief in lower back and neck pain. Also, I have noticed increased mobility and flexibility. I am very pleased with the results after one month of treatment! I came in after a car wreck. I was taking prescribed medications. Since starting chiropractic treatment, my pain went from a 10 to a 5. I also hardly have headaches anymore. Dr. Bentley is a kind, caring doctor. We need all doctors to learn from this man! After being treated at Bentley Chiropractic, I have no pain in my neck, and am sleeping better. I can lift more and workout longer with no pain in my hip or bones. I have more energy and have seen a little weight loss. It is amazing. I am feeling better just in two and a half weeks of treatment on Spine-Med. I can play golf, work out and work at my job better with no pain. Since starting chiropractic treatment, I have improved movement and less pain. I have a better quality of life. Dr. Bentley has always listened to my concerns and made every effort to follow my progress. Excellent staff also. Thank you kindly. I will definitely refer to him! My back was injured when I fell. My medical doctor recommended exercise and learning to live with the pain. Since starting chiropractic treatment, I have been able to enjoy sports and sitting for long periods of time. I take less medicine now and my asthma isn’t as bad anymore. Dr. Bentley is very kind and patient. He saved me and I have painless days! My son was suffering from severe constipation. Our medical doctor recommended surgery to put a tube in his stomach. After seeing Dr.Bentley my son is using the bathroom almost every day. He feels a lot better without much stomach cramping. This is a great place! !